BMW will invest €1 billion ($1.17 bn) to build a new plant in Hungary at a time when a rise in protectionism is forcing carmakers to curb inter-continental exports and to refocus production networks to serve regional trading blocs. A trade dispute between China and the United States has already hurt exports between the two nations, forcing global carmakers including Daimler, GM and FiatChrysler to cut their profit outlooks. As part of a strategic push to “build where you sell”, BMW this year stopped exporting its X3 offroader to Asia from a plant in South Carolina because it can avoid tariffs by making the vehicle at a plant in China instead. BMW declined to say whether the decision to build the new Hungarian plant, its first new factory in Europe since 2005, was taken in response to increasing trade tensions. The Munich-based carmaker said the plant will be built near the city of Debrecen about 230 kilometres east of Budapest and will have a production capacity of 150,000 cars. BMW did not specify which models would be manufactured in Hungary but said the new factory will help to expand its manufacturing footprint in Europe, a market where it sells 45 percent of its cars. “Our new plant in Hungary will also be able to manufacture both combustion and electrified BMW models – all on a single production line,” Oliver Zipse, BMW AG Board Member for Production said in a statement. BMW has already beefed up production capacity in continental Europe by expanding its business with contract manufacturers VDL Nedcar in the Netherlands and Magna in Austria at a time when Britain is preparing to leave the European Union. 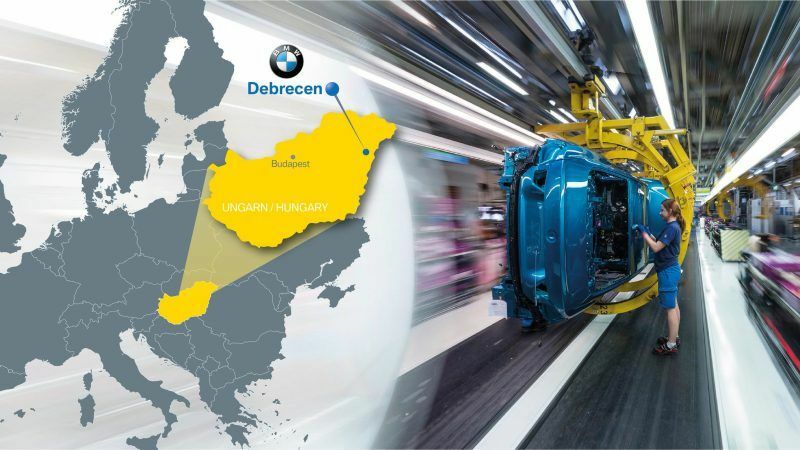 BMW joins Daimler and Audi, both of which already have car plants in Hungary. Audi recently announced investments to launch serial production of electric engines in the country. Car manufacturing accounts for around one-third of Hungary’s exports, and with BMW this could rise to 40% or even more, said Peter Virovacz, an analyst at ING in Budapest. Virovacz said BMW’s new capacity could help partly offset an expected slowdown in economic growth in 2019 and 2020 as European Union funds run out, and will bring foreign investment to a less developed eastern region of the Central European country. 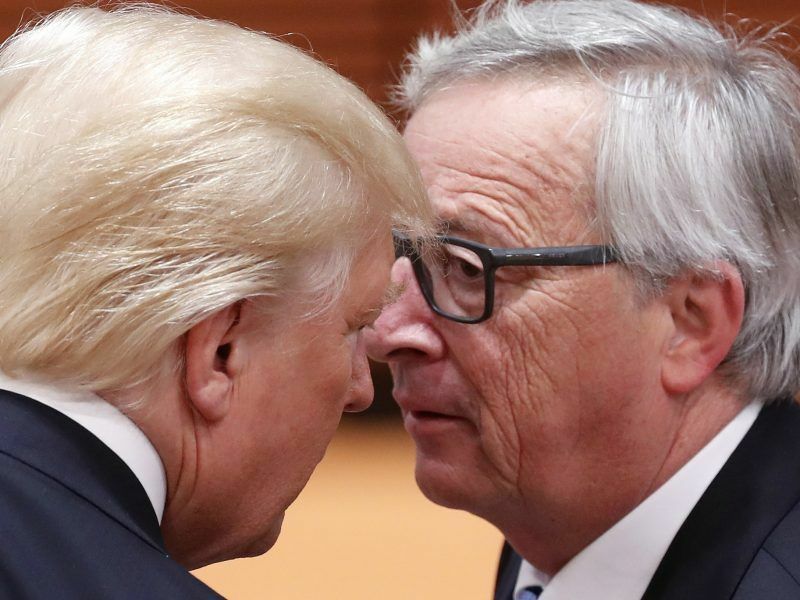 The European Union’s executive proposed on Tuesday (29 May) to spend more of the bloc’s money on Italy and other southern states hit by the economic and migration crises, while giving less to the Visegrad Four countries refusing to accept refugees. However, he said the project will also boost Hungary’s dependence on the car industry and thus its exposure to any cyclical slump in car sales if there is a global economic downturn. 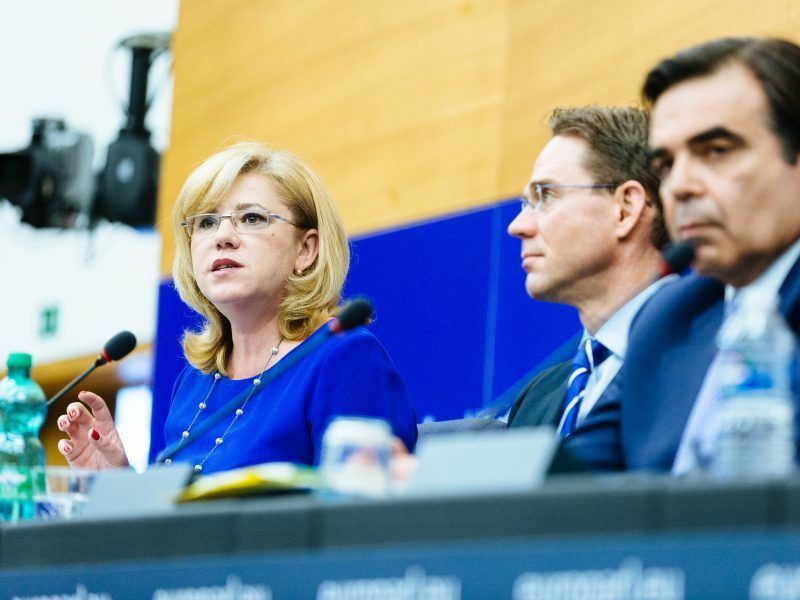 “The biggest question mark regarding this investment will be the Hungarian labour market … it is already very hard to find 1,000 employees, let alone in 2 years from now,” he said. Hungary, along with other Central European economies, has been struggling with a serious shortage of workers, partly due to a mass emigration to the west for higher wages. Outside of Europe, BMW is expanding production in China and is due to open a new factory in Mexico next year.